Hey guys Aideen here today! 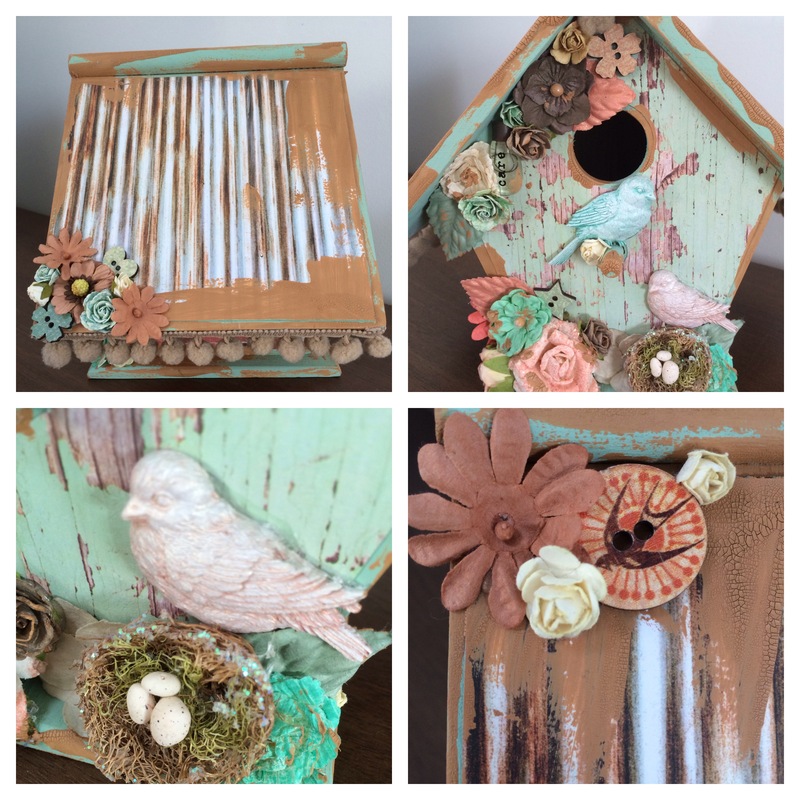 Ok so I have had this wooden birdhouse in my stash for AGES and because this year I am really trying to use up some of my much loved and hoarded stash I had to use it. 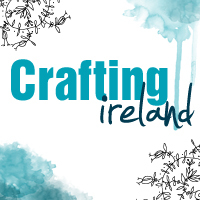 And it fits perfect for our spring theme so why not…. 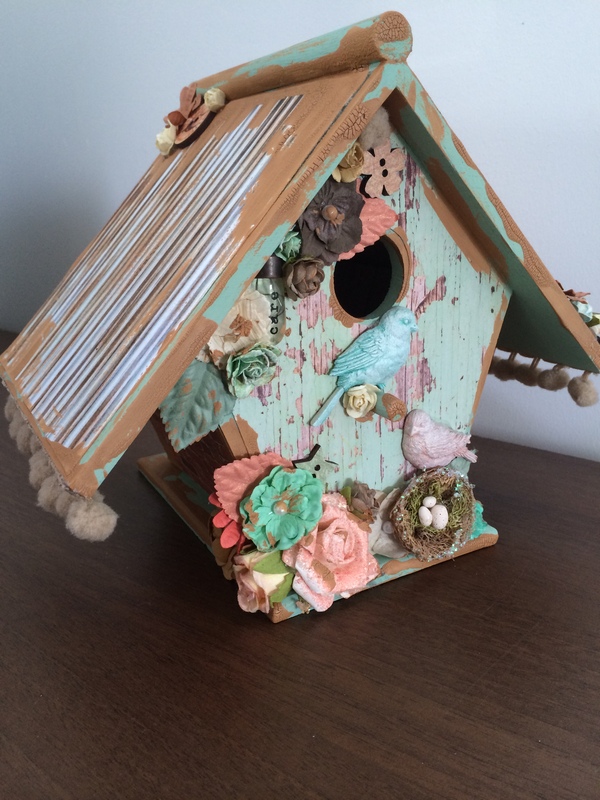 I have shown in the video how I made this cute shabby chic house using these cute kaisercraft papers from CardznScrapz! I love these papers and they add such great texture. Here are some close ups of the details of my house-all of the embellies are prima.